Glenuig Hall was opened on 1st April 1995 by Mrs Jean Llewellyn, owner of Glenuig Estate and a staunch supporter of developments within the local community. 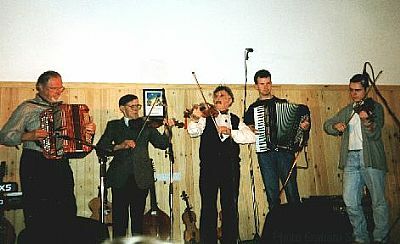 Glenuig Hall celebrated its tenth anniversay in 2005. CLICK HERE to see read booklet marking the occasion. To see what's coming next to Glenuig Hall CLICK HERE or to see a list of past events in the hall CLICK HERE. Wholly owned and managed by Glenuig Community Association, Glenuig Hall was designed by and for the community with the assistance of Bill Bryce of West Highland Estates. Its unique design and beautiful setting looking out onto Glenuig Bay make it one of the most admired village halls in the Highlands. In March 2012 we were delighted to see installed our new entrance mosaic, created by Helen Michie Ceramics following a programme of community workshops. Over 150 people involved in the establishment of the hall attended the official opening by invitation, and were treated to a meal and an evening concert to celebrate the event. It was a privilege to see long standing stalwarts of the West Coast music scene the Roshven Ceilidh Band, featuring Faraquhar and Donald MacRae and Angus Grant (Snr), play together once more (and sadly, for the last time) in Glenuig to honour the occasion. Many other locals including some very talented youngsters also performed, and later on the Battlefield Band, then featuring Glenuig’s own Iain MacDonald on pipes, made an unscheduled appearance to help everyone dance the night away. Deliberately designed to reflect the small village population rather than to accommodate a full-sized badminton court, the hall is nevertheless fully equipped with a wide range of sporting and recreational equipment. It also has its own stage, PA and lighting systems for the many arts events promoted there. In recent years the hall has hosted many musical events, including classical, blues, jazz, rock and of course a fine selection of traditional music in the programme. 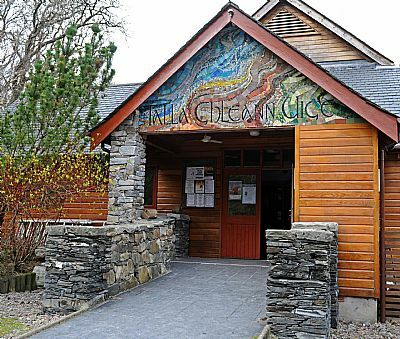 These combined with regular theatrical productions for adults and children and a variety of dances and other events have seen Glenuig Hall become one of the busiest in the highlands for promoting cultural and community events. Many ask how a small village with an adult population of only 35, situated in one of the more remote parts of Lochaber, can continue to host such a variety of events. The nucleus of the hall committee has a long history of promoting concerts dating back to before the Glenuig Music Festivals began. With the opening of the new hall this interest in the arts continued. Funding from the Creative Scotland (Lottery Funded) and The Highland Council, the commitment of the local community and the enthusiasm of audiences who travel from throughout Lochaber (and often beyond) enable this dedicated band of volunteers to continue promoting a varied programme of events to suit all tastes. Glenuig Hall is also coming into increased demand as a venue for weddings and other functions. With a number of excellent caterers in the neighbourhood a full menu of first class venue, music, food and accommodation can all be obtained locally. The hall is also much used for meetings, being ideally situated in the centre of west Lochaber, equally accessible from Ardnamurchan, Mallaig and Fort William. 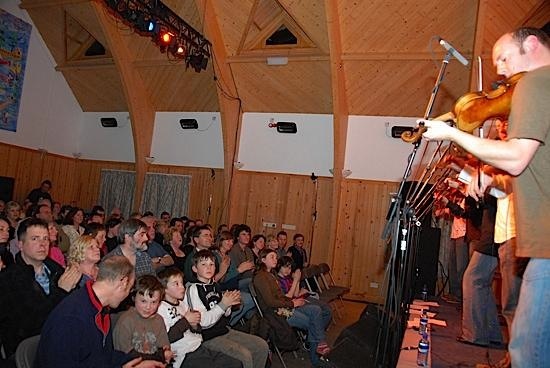 Eleven years of the Glenuig Games and Music Festival provided the bulk of the community's contribution to the new hall. Other fundraising events were staged, including barn dances at a local farm steadings, prize draws, raffles and plastic duck races down the River Nevis. In eleven years the local community raised £33,000 for the new hall. Grant aid for the building of the hall came from the Scottish Office Education Department, Highland Regional Council, Lochaber District Council, Lochaber Limited and Leader. The hall was also equipped through funding from the Foundation for Sports & the Arts, Lloyds TSB Foundation, The Rank Foundation, Gannochy Trust, Tudor Trust and the Carnegie UK Trust. The BBC Beechgrove Garden Hit Squad did a marvellous job of landscaping and planting the hall grounds. While the GCA committee are happy to (and often do) advise others interested in building new halls, it should be noted that the advent of the National Lottery has created many changes in the funding available for such projects. The design and layout of the hall was discussed at length within the community before a local architect was presented with draft plans from which to work. The community felt it did not require a hall large enough to accommodate a full size badminton court, as it was felt that this would be unsuitable for a small community and would not be aesthetically pleasing. Other organisations in similar situations thinking of building a new hall are urged to think carefully before giving way to the badminton lobby. It was decided that the building required several small rooms for activities that did not require the large space provided by the main hall. With hindsight, we could have done with more storage space for chairs, tables, staging and sports equipment and those building new halls are cautioned to consider this in their planning. We also felt it important from past experience that the bar area be separate from the main hall. This prevents those who prefer to spend all night standing at the bar from distracting those who wish to listen to whatever music or other event is taking place in the main hall. We also adopted a policy of banning smoking in the main hall, and this has helped us maintain a pleasant atmosphere in the auditorium. 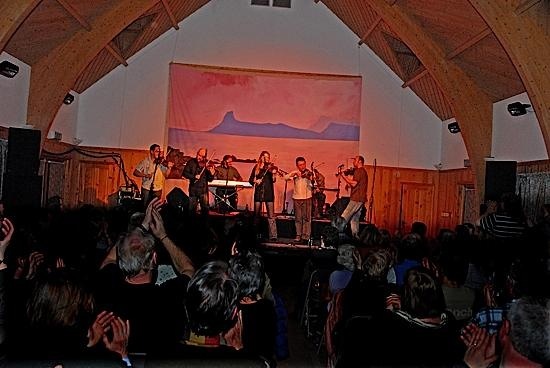 Glenuig Community Association use the hall for a year-round programme of the performing arts with funding from The Highland Council and Creative Scotland (formerly the Scottish Arts Council). More details on how this is operated can be supplied on request (please send a donation to cover printing and postage). Running costs of the hall are met largely from the hire of the hall to various user groups; many of who gain their own revenue from operating bars at GCA sponsored events. We also have a small regular income from the sales of tapes and CDs of a recording we made of the Tenth Glenuig Music Festival. 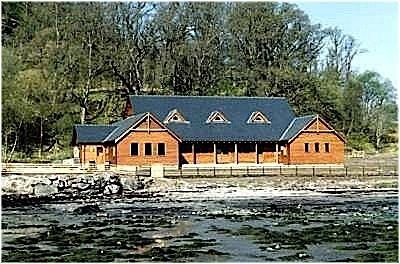 Glenuig Hall is an ideal venue for parties, weddings, meetings and all types of functions. Contact us through the details below to find out about our competitive rates and the other services we can offer you. We are happy to refer you to local caterers and musicians as required and our enthusiastic management committee will offer help and advice to ensure your event runs smoothly. Glenuig Community Association, Glenuig Hall, Glenuig PH38 4NG or by contacting Eoghan Carmichael on 01687 470267 or by email. Information about forthcoming events can be found on our What's On Calendar page.